Although asparagus and strawberries are a couple of the tastiest signs of spring around here, another one with taste implications — admittedly a delayed gratification sort of thing — is firing up the incubator. It’s not that our hens don’t set, but they don’t always do it according to my schedule, and the setting process can be disrupted by fights with other hens or the occasional bear who turns the nesting cage upside down, leaving the setting hen just a tad upset and disinclined to go for another ride. I like to make sure it will be warm enough that I don’t have to keep the chicks under the heat lamp any longer than necessary, but not so late in the year that they have trouble in the heat. All of which add up to the need to use an incubator. 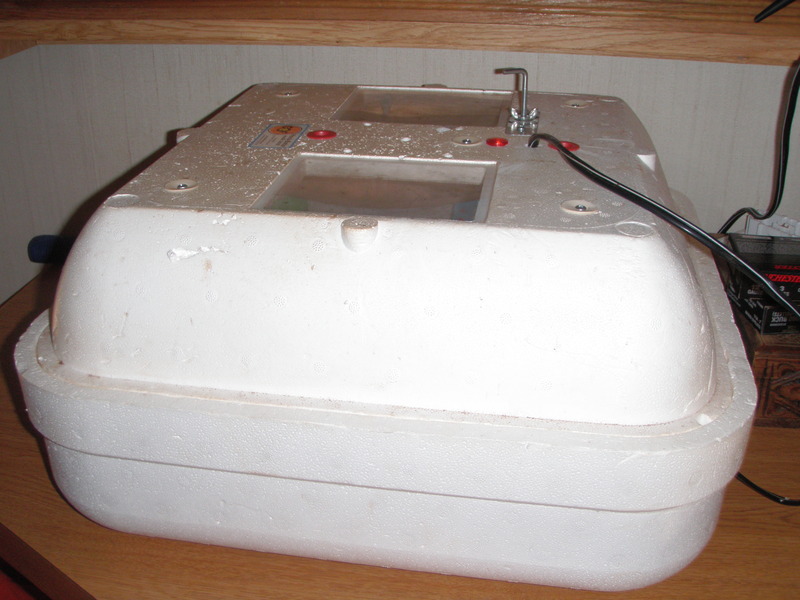 I’ve been collecting eggs for a few days and have three dozen ready to go, so today I hauled out the incubator and set it up. 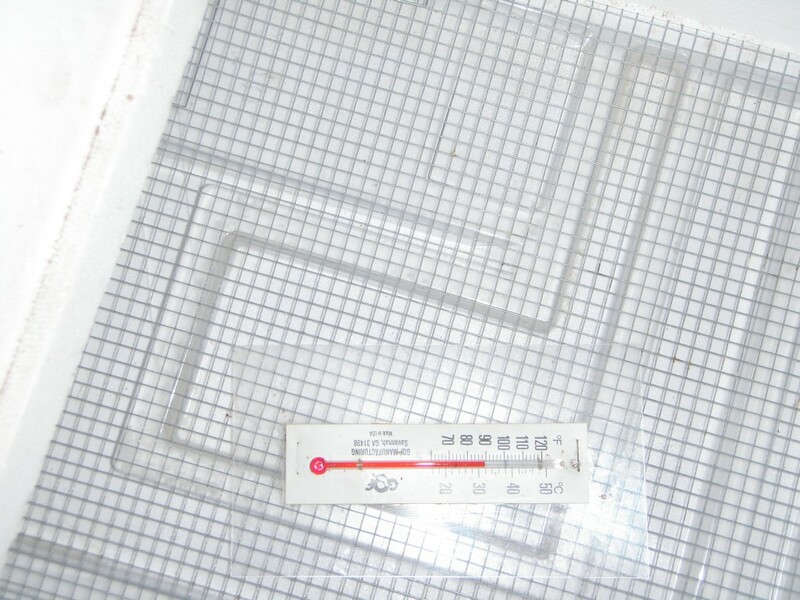 An incubator should be in an area where the temperatures are relatively stable, which precludes putting it outside, as the temperatures are swinging about forty degrees between day and night. Our bedroom is the best spot in terms of keeping the egg-box out of the way, so I cleared off the shelf, and got it all set up. It takes about 24 hours of fiddling and adjustments to ensure that the temperature will remain close to 100 degrees consistently. 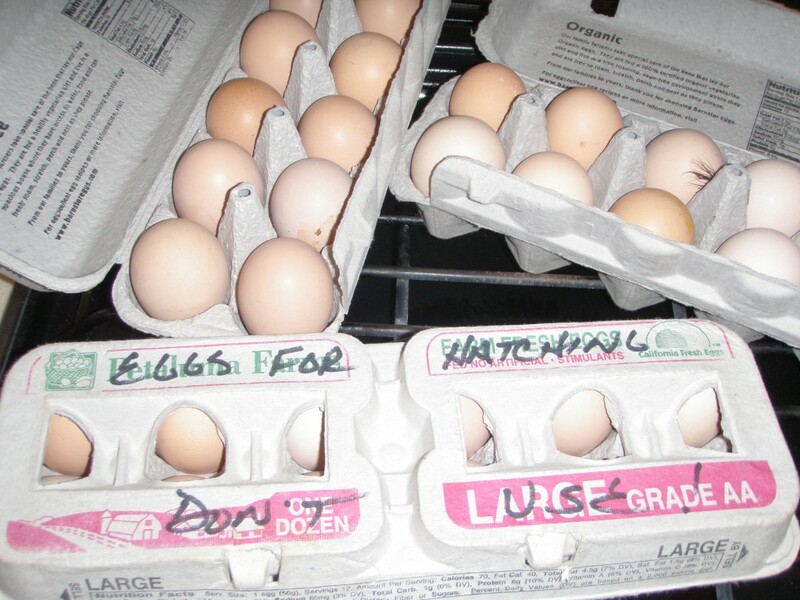 The eggs are good for at least 10 days after they’re been laid, as long as they aren’t refrigerated. I put them in egg cartons with large letters that say “Eggs for hatching, don’t use!” and set them aside while I collect enough to incubate. Since mama hen would normally turn them at least once a day before she starts to set, I do the same — it keeps the chick from sticking to the shell once the incubation process starts. enough. it should be about 100 degrees. Australorps laying to keep our two families in eggs year round. Any other eggs I get from the Delawares and crossbreds are a bonus, but I want to make sure that I hatch at least 24 Australorp pullets, so I may need to do a second batch of eggs after this one. Excess roosters become chicken soup, chicken stew and chicken pot pie. 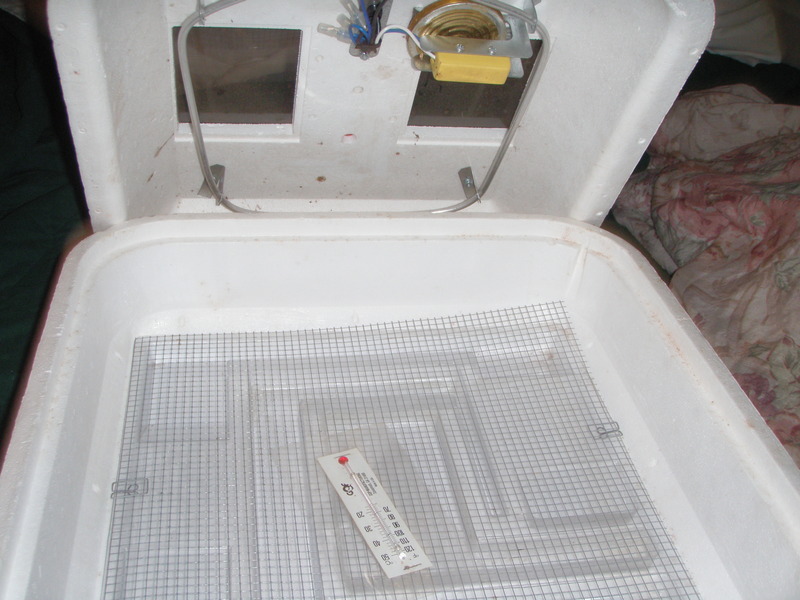 This entry was posted in Farms, Food and tagged chickens, chicks, eggs, incubator, spring. Bookmark the permalink.